Relax in your Blissfully clean house. Sometimes we all get overwhelmed with everything we need to do in our busy lives. Wouldn’t it be nice to have some extra time to do something for you? With maid service from Bit A Bliss, house cleaning can be one less thing you need to worry about. You can feel confident in our maid service because we listen to your feedback and pay special attention to your needs in order to make sure we clean your house the way you want it cleaned. At Bit A Bliss, we understand the science behind green cleaning and provide you with green house cleaning service options using environmentally friendly cleaning products that are both child and pet safe. Bit a Bliss has three local maid service offices to serve all of your house cleaning needs. Maid service locations are Frisco, Plano and Dallas. 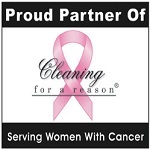 Give us a call @ 214.390.3907 to find out how you can get the house cleaning you deserve. Because, every one deserves a Bit A Bliss.